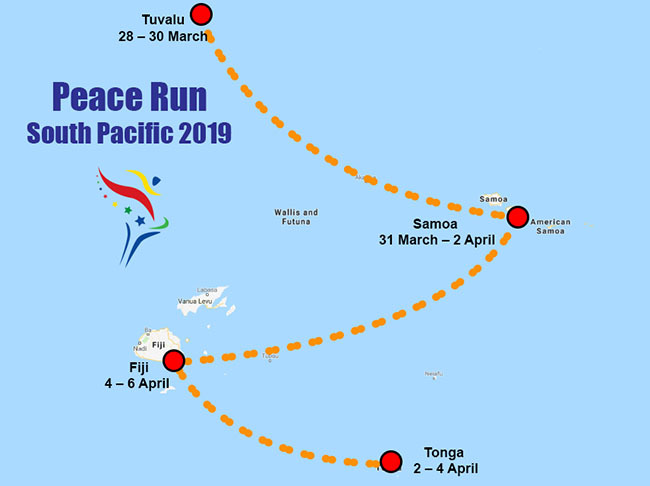 2019 is specially significant as this year will be the first time the Peace Torch will the Kingdom of Tonga, linking Tonga with over 150 countries which have welcomed the Peace Run to their shores. Visiting schools, community groups and Government Officials, the Peace Run is for all, an expression of our common aspiration for peace and better world. All peace-lovers and peace-dreamers – runners and non-runners alike – are warmly invited to participate in activities associated with the Peace Run’s visit to Samoa.